The future of law enforcement. We are happy to premiere this new screen print being sold by Grey Matter Art. 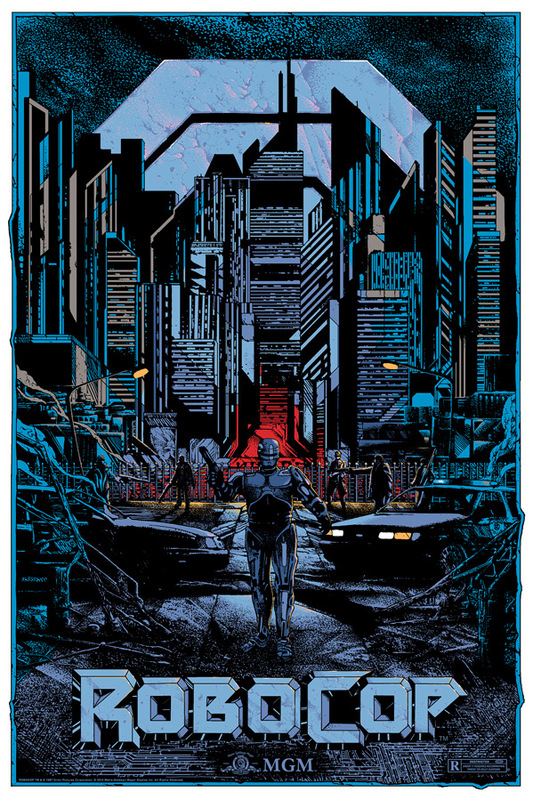 GMA is working with MGM to distribute this officially-licensed print for Paul Verhoeven's classic uber-violent 1987 sci-fi RoboCop, with artwork designed by Kilian Eng. This fantastic 24" x 36" print will be available in limited quantities starting Wednesday (January 27th), and also has a variant version (both seen below). Eng is a fan-favorite artist in the poster community, and has created a few great designs over the years (like this vinyl art for Oblivion). Big fans of the original RoboCop should be very interested in this. 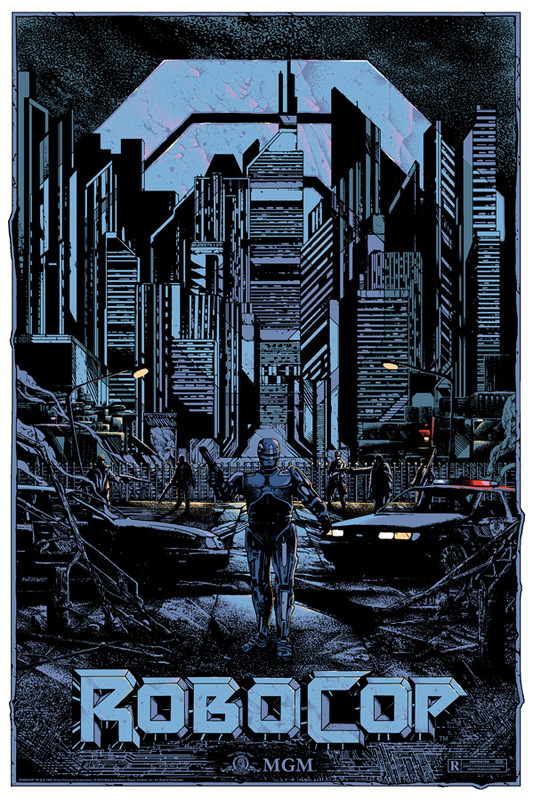 Here's the art by Kilian Eng (@dwdsgn) for RoboCop. Hand-numbered screen prints printed by VGKids. From Grey Matter Art: "Kilian's style perfectly portrays the violence and grittiness of the film." There will be 220 copies of the regular edition, selling for $45 each. And there will be 110 copies of the variant edition, selling for $60 each. This poster will be released Wednesday, January 27th on the Grey Matter Art shop page between 1:00PM-2:00PM EST. Follow Grey Matter Art on Twitter to get a jump on the drop. 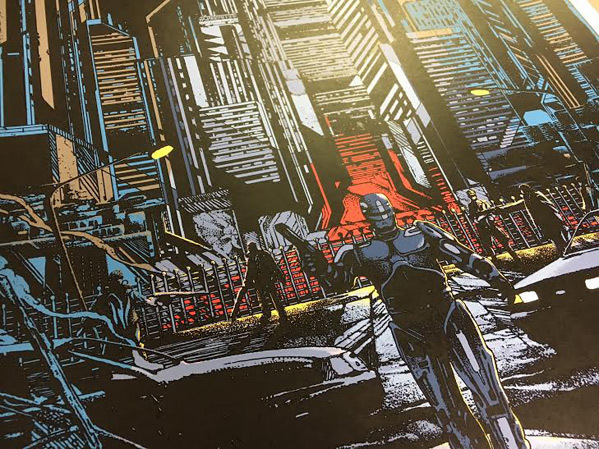 GMA also released a RoboCop print by Matt Ferguson in December, making this their second RoboCop print licensed by MGM. For more info on artist Kilian Eng, and to see more of his artwork, check out his official website. Every Time You (Hollywood) Want To Remake or Reboot or ReSh*t .... Im In!